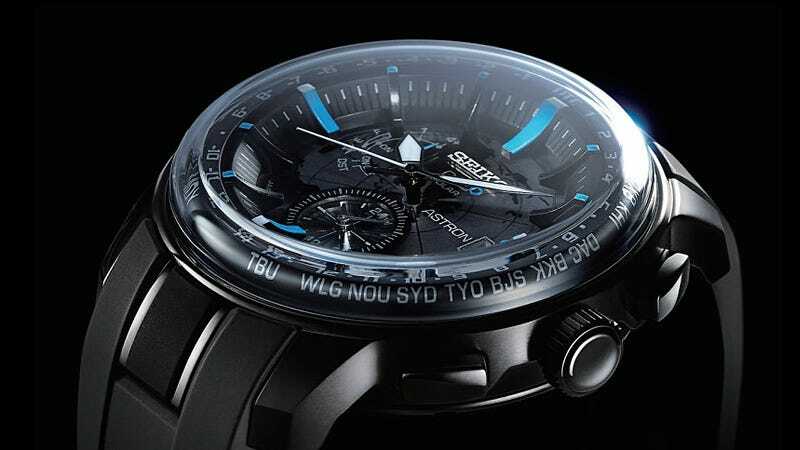 As a follow-up to its original Astron watch that used a low-power GPS chip to automatically set the time based on wherever in the world it was, Seiko's new Stratosphere version features mostly aesthetic upgrades. But that doesn't mean anyone with the original model won't want to upgrade. The most remarkable feature of the new Stratosphere is a domed sapphire crystal that covers the watch's face all the way to the edge of its silicon band. Because sapphire's hardness is second only to diamonds, each dome requires more than ten hours of polishing to achieve its crystal-clear finish.